Four strategies to welcome abuse victims and survivors. Former gymnast Rachael Denhollander—whose testimony against USA Gymnastics team doctor Larry Nassar drew widespread media attention earlier this year—told Christianity Today that “church is one of the least safe places to acknowledge abuse” because victims often receive damaging advice from church staff who know little about the topic. The #ChurchToo movement (accompanying the #MeToo movement) reveals that churches are just as susceptible to issues of sexual misconduct and abuses of power as secular institutions. Often one or more individuals are to blame for abuses, but calls for reform are directed at churches and their leadership. Look out for people, not institutions. However, church responses—especially to these three events—show there is still a long way to go. Tchividjian points to Andy Savage as an example: Savage minimized the abuse he committed by calling it a “sexual incident” and then implied that the victim needed healing—and then he got ovation from his congregation. This leads to the first lesson churches need to learn: Protect the victim, not the institution. Diane Langberg, a psychologist who works with trauma survivors and teaches at Biblical Theological Seminary in Pennsylvania, agrees with Tchividjian in holding that churches can reinforce abuse by doubting abuse victims and protecting abusers. This has the effect of turning the church itself into an abuser. Not only does a circle-the-wagons response hurt the abuse victim involved, but it lowers the chances that other abuse victims and survivors will look to the church for help, said Tchividjian. Often, he said, leaders faced with accusations or revelations of abuse feel they must defend church leaders or the church itself because so many others depend on the organization’s survival. Instead, churches should seek to live out the gospel by supporting those who disclose abuse and standing with them. Talk about abuse, even if you don’t think its happening. A common response abuse victims have is to doubt that the abuse is real, to think that very real abuse is “all in their head.” They may even receive that message explicitly or implicitly from those around them. So when pastors don’t discuss the topic or preach about it, it reinforces that message and makes victims unlikely to confide in church leaders. And many pastors don’t bring up the topic often. A 2014 LifeWay Research survey found that only 6 percent of the pastors surveyed discussed abuse with their congregants in group contexts at least once a month. A substantial portion (42%) said they rarely or never do so. Many Bible stories offer lessons about abuse, Easter pointed out. When churches do discuss abuse, it tends to be in the context of national or international news stories like those that have occurred in recent months, said Jennifer Roach, who is a counselor and pastor at Advent Anglican Church in Kirkland, Washington. Instead, abuse should be a regular part of church conversation, and that conversation should be curated with abuse victims and survivors in mind, she said. According to Tchividjian, churches tend to side with powerful individuals against the abuse victim—intentionally or not—when they close ranks to protect the church. Easter agreed, saying that when abuse victims do speak up and seek advice from pastoral staff, they are often told to stay in abusive marriages and other relationships. Church staff sometimes try to handle the accusation and investigation in-house instead of bringing in police and other authorities, resulting in victims who feel silenced and are unlikely to bring their cases to church leaders for help. Churches should take steps immediately to involve authorities outside the church. In many US states, churches are required to report abuse if they find out it is happening. In addition to the legal obligation, involving authorities signals transparency and openness, which are essential messages to send to abuse victims and survivors. Even when a church might not be legally obligated to involve law enforcement—for instance, if an abuse is alleged to have occurred in the past and is beyond the legal statute of limitations—involving law enforcement can send an important message, said Roach—and if the person accused of abuse is still at the church, he or she should turn themselves in. The experts quoted in this piece agree that churches should be transparent when abuse is alleged and involve outside authorities who publicly investigate the allegations. While few people lie about being abused, churches should avoid passing judgment on a situation immediately. According to Langberg, however, churches should always make such situations public by announcing the allegations, involving authorities like police and investigators like those at GRACE, and inviting victims to come forward. Instead, church leaders, like many people, assume they can tell whether a person accused of a crime is really responsible. The result of churches hushing up accusations is that victims don’t feel they will be heard if they speak. Church leaders’ first response to abuse claims and revelations is particularly important, said Tchividjian, because it sets a tone of trust or distrust in the victim’s story. Admit what you don’t know and acknowledge that abuse happens. While many churches have a plan in place to help abuse victims, research shows that pastors tend to underestimate the number of abuse victims or survivors likely to attend their church. According to a LifeWay Research survey, 76 percent of churches have a referral list for professional counselors, 64 percent have money available to assist abuse victims, and about half can refer victims to legal help or to a church member who has experienced domestic violence. 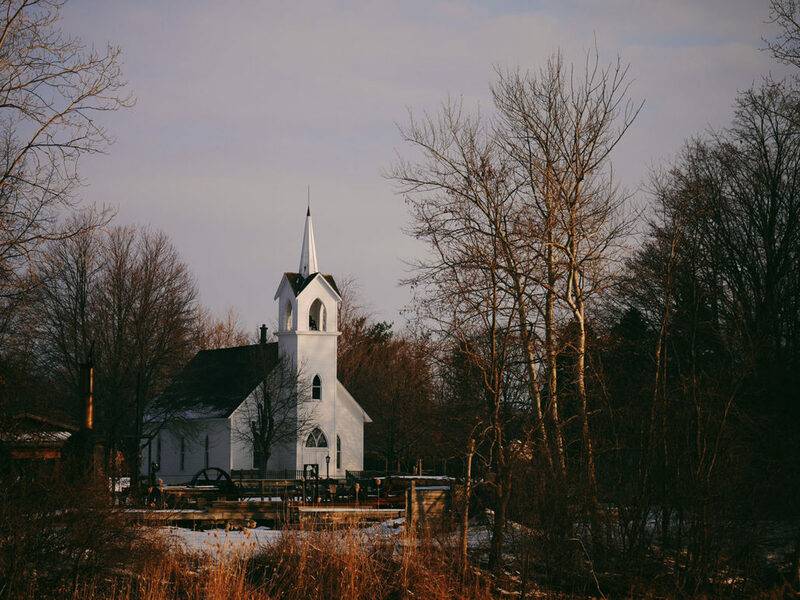 However, pastors are also likely to underestimate the likelihood of abuse occurring among church members: Nearly half of the pastors surveyed said they did not know whether anyone in their church had been a domestic violence victim in the past three years. In reality, it is statistically likely that most churches—even small ones—have members who are abuse victims or survivors. Statistics show that one in four women and one in seven men in the US have been physically abused by an intimate partner. But because churches rarely discuss abuse, many abuse victims stay silent because they feel isolated and out of place, said Easter. When the topic of abuse does come up, it tends to be as something that happens “out there,” not within the congregation—which leaves abuse victims feeling isolated, Langberg said. Finally, Langberg noted, it’s all right for church leaders to admit it when they don’t know much about abuse. Acknowledging this can even send an important, positive message to abuse victims and survivors. Ruth Moon is a doctoral candidate in communication at the University of Washington and editor of Response at Seattle Pacific University.